This morning I enjoyed my complimentary continental breakfast while reading my complimentary USA Today and used the complimentary internet to book a night at another Hampton Inn. IKEA was just down the road...I planned it this way, haha. I couldn't buy anything, but looking is still fun. Green is my new color. I love this bed, and IKEA fabrics. Today's lunch. 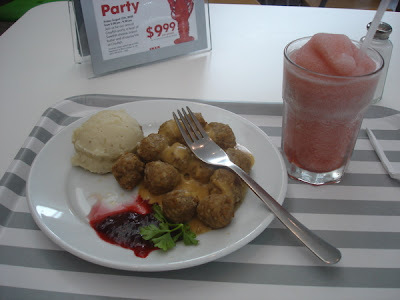 Yummy, swedish meatballs and a lingonberry slushie. 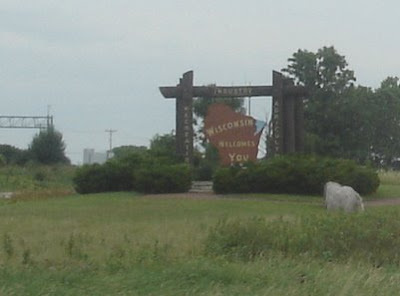 Most of the drive today was through Wisconsin. 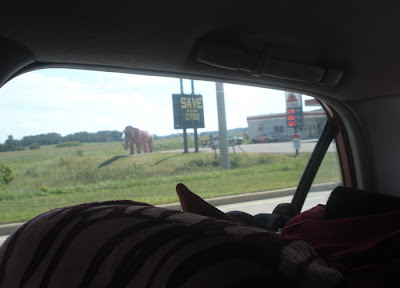 I stopped at DeForest to visit Sissy the Cow at Ehlenbach's Cheese Chalet. 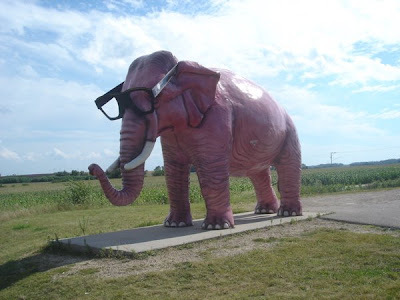 Just down the street from the Cheese Chalet is the Citgo gas station with the Pink Elephant wearing glasses. 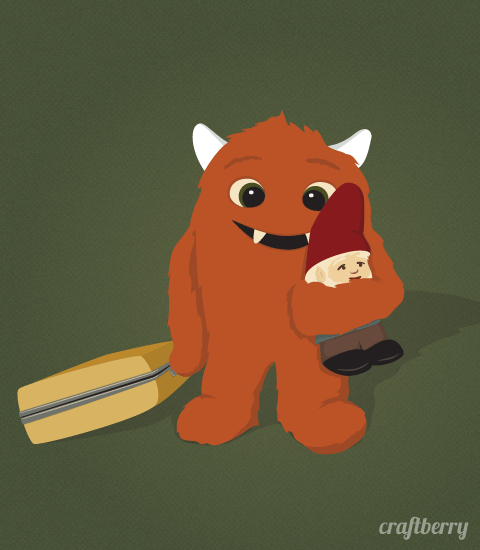 I love silly stuff like this. It makes the drive less monotonous. 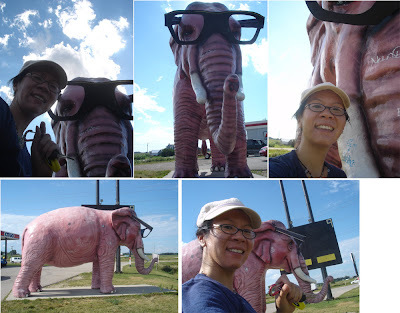 The sun was behind the elephant, so it was hard to get pictures from the front of it. You can see where it is in relation to the gas station in this one. My king size bed for tonight. Lady at desk not as friendly as at the last one, but still glad to have a nice room for tonight. And looking forward to breakfast.